UPDATE: The review is now available! 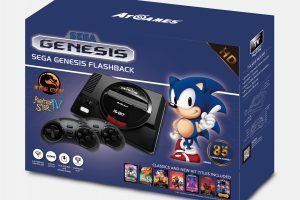 AtGames has announced the official game list for the Atari Flashback 7, which will be available from top retailers starting in October 2016 for $59.99 SRP. I’ll have a full review right here on Armchair Arcade soon. These aren’t cheap to buy these days but they’re sure as heck worth it. Find the cheapest lender willing to give you a loan to finance your Atari purchase. Not this year, but next year is always possible. Can u buy PAC man or donkey king to play in it? No. If you want to play Pac-Man or Donkey Kong, you can do it on the Atari Flashback Portable if you use your own SD card. I should have a review of that unit posted sometime this week. No. If you want to play games that are not on the list, try the Atari Flashback Portable (requires your own SD card). I’ll be posting a review of that soon. Will there be Pac-Man, Qbert and Donkey Kong games available to purchase in the near future? No. If you want to play those, you’ll need to get the Atari Flashback Portable. 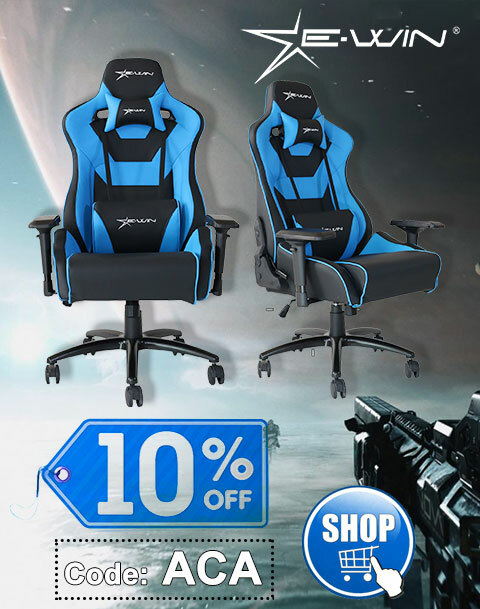 Check on this site for a review and details. 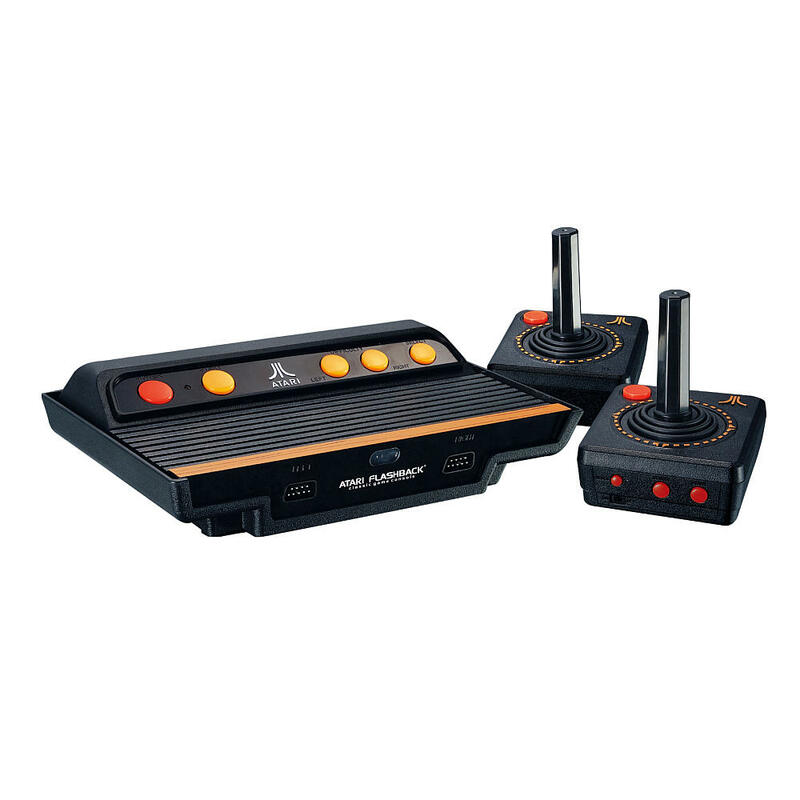 Whats the difference between Atari flashback 5, 6 and 7? Do newer versions include more games? Yes, the game mixes are different. Is “Atari Climber” actually the fan club exclusive “Crazy Climber”? or Q-Bert or any of the systems? Those games were not available to license this year. If you want to play those games, you can get an Atari Flashback Portable and add them in via SD card. I went out and bought this game system and I got really disappointed because it doesn’t have Pac Man, Donkey Kong, Mario Brothers on the system. Really disappointed!!!!!!!!!!!!!!!!! That’s unfortunate, but it’s not like the exact contents were a secret. If you want those games, you can always get the Atari Flashback Portable and an SD card and add them on yourself. Unfortunately, Nintendo games like Donkey Kong and Mario Bros. will most likely never be on something like this. Nintendo keeps their IP for themselves when it comes to videogames. Pac-Man on the other hand is a Namco property, so that may one day become available to license. Of course, the original Atari 2600 version is pretty dreadful, so you’re better off playing one of the homebrew versions, which are vastly superior (refer to my Atari Flashback Portable review if you want to see just one of the many in action). It has no online capabilities. It only plays the games that are built-in, so no wifi is necessary. Make sure the game is either a two player game or supports two players. For the former, like Combat, every mode is two player only. For other games that support a second player, it’s usually each player alternates. Check out the manual for what each game supports. If you can’t figure it out on your own, you can get full manuals at AtariAge. Yep, some two player games have you trade the player 1 joystick rather than use separate joysticks. Enjoy. Ducks Ahoy! was only available for Atari 8-bit and Commodore 64 computers. Unfortunately, you’d need to run it on one of those computers if you don’t want to go the emulation route. Since I didn’t realize you couldn’t use with an HDMI connection, do you know if the AV to HDMI converter will work with the Atari Flashback 7 ? The converter should work. Later this year, a HDMI native version should also be coming out. Why won’t my Atari flashback 7 work on my Vizio 4K smart tv? Is frostbite on any consoles? Not for the 2016 models, but you can add it via the SD card slot on the Atari Flashback Portable. 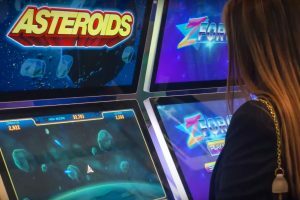 Any posibility to play” Boulder dash”,”Zubex”,”Monty”??? Anything that uses special chips like extra RAM or additional processing power, simply won’t work on the Atari Flashback Portable. There have been great strides though made on AtariAge with hacking almost everything else to work properly. The Atari Flashback 7 console does not have an SD card slot, so the question is not really valid for that. You should either exchange it or contact AtGames support. 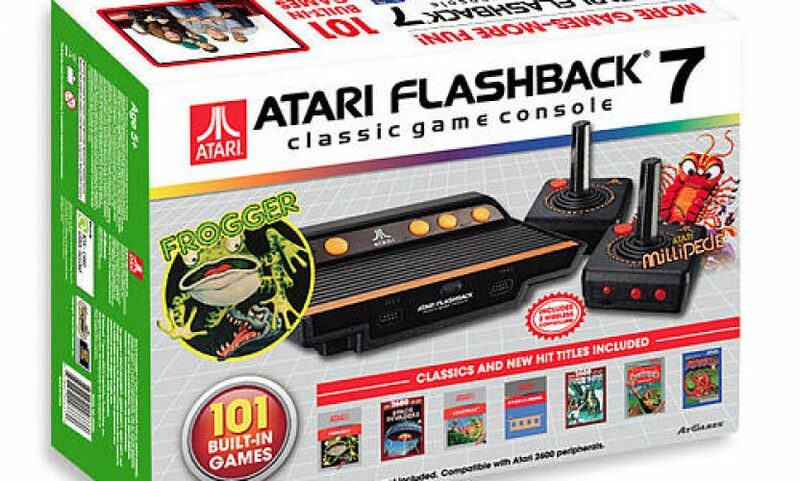 I have an Atari Flashback 7 and would like of putting there new games as well Pitfall. Please let me know if I can buy this game And transfer for the console using any resources as USB or another way. Sorry, no. Only the Atari Flashback Portable lets you add games via optional SD card. 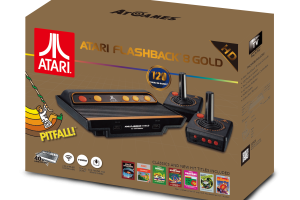 All of this year’s Atari Flashback products (8, Gold, Activision Edition, and the Portable) have Pitfall!. is rally x on this ? Rally-X is a homebrew that’s still under development for the Atari 2600 from what I last heard. Look for announcements in August for the upcoming products from AtGames for later this year.